How could I not include Venice - one of the all time classic honeymoons with iconic hotels such as the Cipriani. Everyone from Lord Byron to George Clooney has been beguiled by this floating city. 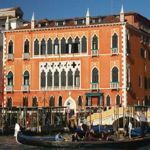 Take a gondola ride, sigh over the Bridge of Sighs, tour the Doges Palace, appreciate art at the Peggy Guggenheim Collection, explore the glass works of Murano and sunbathe at The Lido. 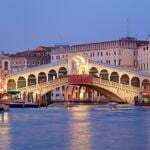 It takes a specialist holiday company to get it absolutely spot when it comes to such a popular and iconic honeymoon destination as Venice. With over 80 years’ experience in organising honeymoons to Italy, we know it inside out and have hand-picked the best places. Whether you arrive on the Orient-Express or in a private water taxi, you will fall under the city’s spell within moments – at any time of year. Choose from a range of three up to five-star deluxe hotels, to suit your taste and budget. 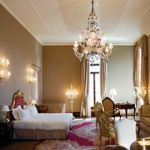 Amongst our most popular honeymoon hotels is the five-star deluxe Ca’ Sagrado, overlooking the Grand Canal and home to exquisite 17th and 18th century paintings. It’s the perfect mix of a relatively intimate hotel (just 42 spacious rooms) and a central position – upgrade to a Grand Canal Room or Suite for the best views. One of Venice’s most famous hotels, The Danieli, is a former palazzo dating back to the 14th century – it’s utterly magical. Even if you don’t stay there, dinner on the roof terrace overlooking the lagoon is the stuff of dreams. The four-star Hotel Londra Palace is ideally located on the waterfront, a short stroll from the Bridge of Sighs. It’s low-key yet luxurious with beautiful decor throughout. Many of our hotels offer special additional touches for honeymooners – we’ll tell you more when you book. We can tailor make your honeymoon in Venice alone or combine a stay in Venice with other Italian cities. The perfect end to your honeymoon could be a return journey on board the Orient Express. 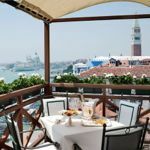 Find out more about our choice of hotels in Venice and other honeymoons in Italy. Also see the best time to visit Venice.